Tracy Madden is a bestselling author, interior decorator and passionate cook who lives in Brisbane's riverside suburb of New Farm. 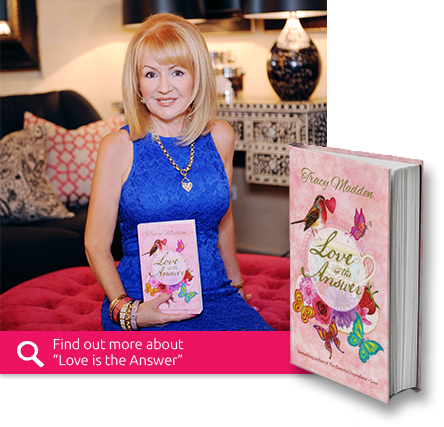 Tracy's second novel, Love is the Answer will launch in December 2013. We hope you enjoy the journey of Peach Avanel, as much as you enjoyed the delicious although some what emotional story of Chilli Montgomery in The Essential Ingredient- Love. Tracy Madden's books can be found in all good book stores across the country. They are distributed by Pan Macmillan.